Today’s the day. Relatives arrive and will move into the guest room for four days. Thanksgiving isn’t just the big dinner on Thursday. It’s meal after meal after meal. In the spirit of the last few posts, here it is. The List – menus, with links where possible. Often, I’m just making it up – or combining techniques, recipes and ideas. Last year's turkey. Pretty bird. 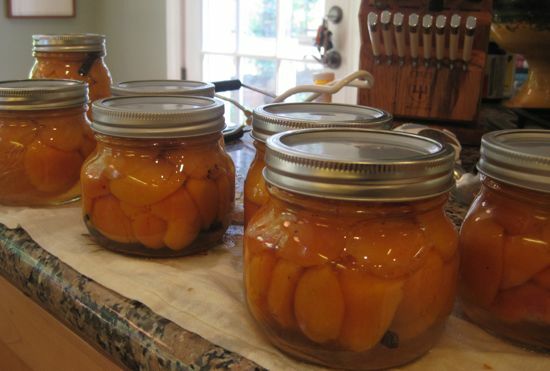 If you didn’t can this summer, look around for excellent jars of fruit – I love apricots, but peaches, cherries, and ripe, wine poached pears work perfectly and make a gorgeous tart. *To blind bake: Roll out the crust and fit it into the tart pan. Line the pastry with foil and fill with pie weights or dried beans. Chill for 30 minutes. Preheat oven to 400°. Bake for 8 minutes. 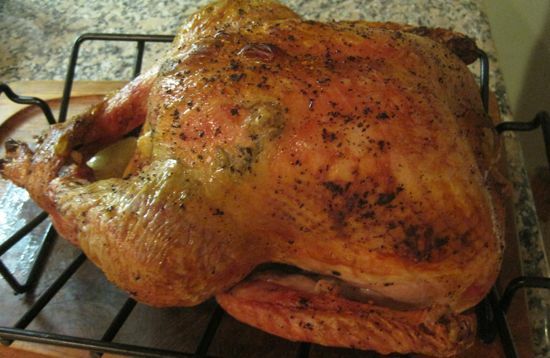 Remove foil and weights and dock – pierce all over with a fork – the crust. Bake again for 10 minutes. Mix together the cream, sour cream and eggs. Whisk in the butter and sugar. Drain the apricots in a colander over a small saucepan. 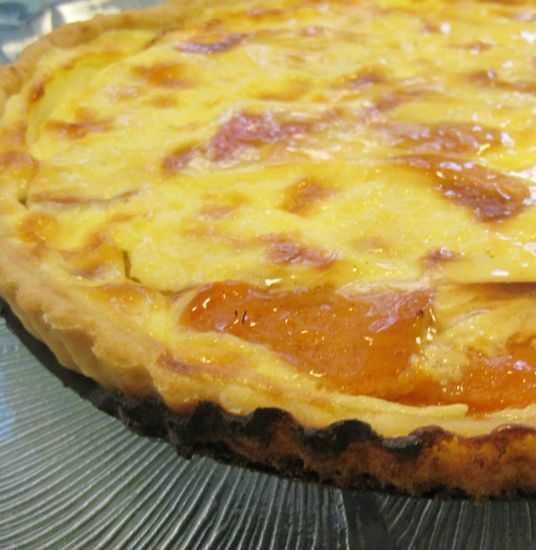 Place the apricots decoratively around the crust. Depending on how many I’m feeding, I’ll add more fruit – that will allow you to cut smaller pieces! Bake at 425° for 25 minutes. Remove to a rack to cool fully. Reduce the leftover syrup from the jar by half. Brush the syrup across the top of the tart to make it all shiny. And here are the menus for the next several days. From here on, it’s in the hands of fate. Party on. Miso crusted Salmon (grilled) with bok choy and shiitake braise, herbed basmati. Oh lord. It looks like Mrs. Wheelbarrow’s Weight Gainer Program. Sounds delicious. I’m coming over. Are you kidding me? You must be the best hostess ever! Your guests are going to be in heaven but I hope you don’t collapse. Good luck and I hope you get to enjoy, Cathy! Unbelievable! What an amazing menu! I hope you get some rest time in-between all that cooking! Bravo! Sounds fabulous. You haven’t missed a detail. I hope your quests like to do dishes. I usually make Turkey pho the next day. I am stealing your duckfat pearl onion roasting with lardon idea. OMG. What wouldn’t that go with? Have a great holiday! You rock, girl! HA! I love that nothing’s listed for Friday. I imagine you all sitting around in a food coma for that day, just “recovering” from that huge menu of the day before! It all sounds wonderful, have a great holiday! Good grief – do you sprout extra hands to handle all that????? It all sounds amazing – hope each dish turns out wonderfully. The apricot tart looks incredible- it’s going on my list of MUST BAKE soon!